My name is Kris Bineau and my sister (Dena) and I are trying to find a forever home for our nephew's dog. He's is a Bull Mastiff Mix with a Brindle Coat and just an awesome dog!! My sister and I cannot keep him and he is not in a good place right now. My nephew went to California for a job and thought that they had a stable home, but not anymore! So he is moving back here to CO to live with Dena again in Evergreen, but her landlord will not allow 2 dogs. I'm attaching all the info on him along with a few pics. He is dog, cat and kid friendly, about 2-1/2 years old, neutered, and no issues at all! We were hoping you guys can place his ad on your listings and start looking for a foster home for him before he gets here? Please let me know what else we need to do, thanks!! 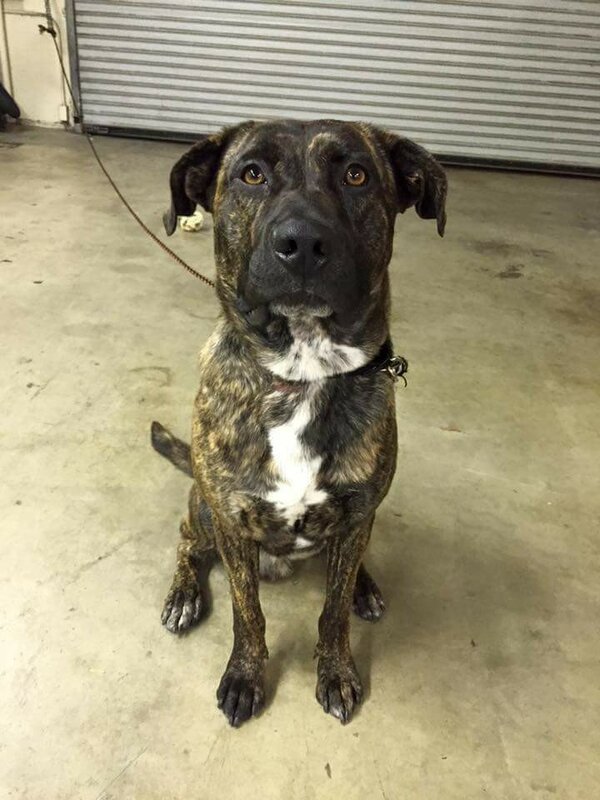 Breed- Bear is a Bull Mastiff Mix with a Brindle Coat. He has the most gorgeous amber eyes that will steal your heart. Age - He is Approx. 2 1/2 years old. I Found him when he was young, probably about 6 months old. Weight: Weighs about 100 pounds. loves the outdoors and he would be great for a person that loves the same! Training: Bear knows most of the basic commands like Sit, Stay, Come, Leave It and even Sit Pretty. Bear is 100% House-Trained. He lives inside and likes to be with people and to be part of the pack. We would like to place him in a home that allows their dogs to be inside dogs allowing him to sleep indoors and to be part of the family. and they have asked to pet him, he’s a good boy and doesn’t mind at all. out on my bike with him on leash and he does great running along by my side. Off Leash: Very good off leash too. He has been on countless hikes, and he doesn’t stray too far from me and comes when I call him. and if that other dog is neutered or not. Cats: He gets along with cats! When I stayed at my friends house for a couple weeks, my friend had a cat and 2 dogs and Bear got along fine with all of them. Shots: I will have him updated with shots before adoption.